How to differentiate and create sections, pages, and subpages within your notebook. This article shows OneNote 2016, but the process works the same in OneNote 2010 & 2013. Sections are the largest overarching divisions within a notebook, which appear across the top of the notebook. 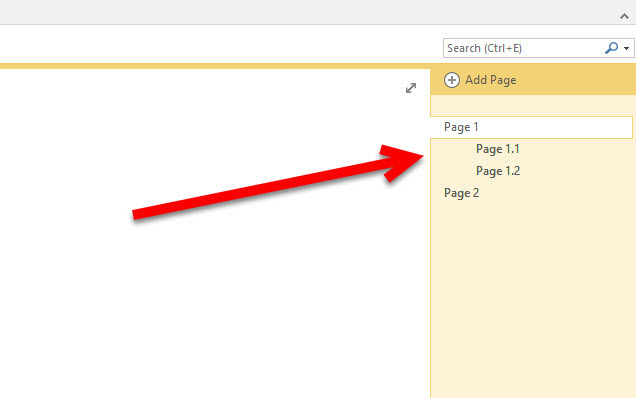 Step 1:To add a section, click the tab to the right of the existing section(s). Type a name for the section and press the [Enter] key. 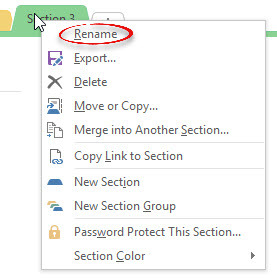 To rename a section, right click on the name and select Rename. Type the new name for the section and press the [Enter] key. Pages are divisions within the sections. They appear on the right side of the notebook. 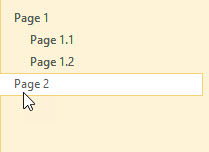 Step 1:Select the section to which you want to add a page. Click New Page at the top of the page menu on the right. Type the name of the page in the heading section at the top of the notebook page. You will see the name of the page change in the page menu on the right. To rename a page, select it from the page menu on the right. 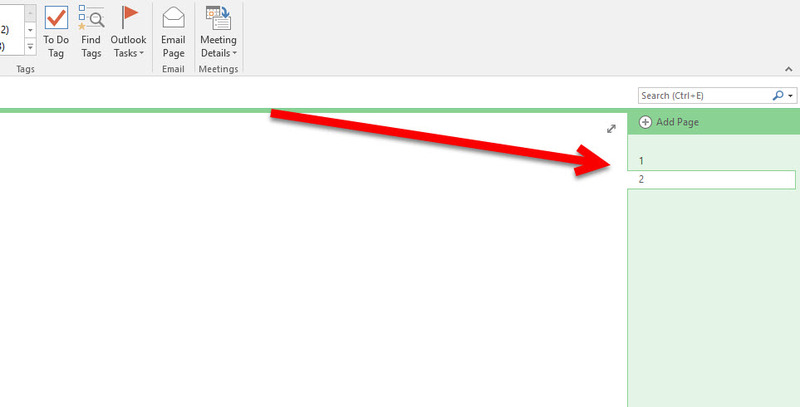 Type the new name in the heading section at the top of the notebook page. You can create subpages within the pages of your notebook. These appear under the respective pages from the page menu on the right. Step 1:Hover over the bottom of the name of the page that you want to add a subpage to. Type the name of the page in the heading section at the top of the notebook page. To make it a subpage, drag rightward until it's indented. To rearrange subpages, click and hold on the name and drag it up or down to the new location. A black bar will appear in the new location. Release your click to drop the subpage. 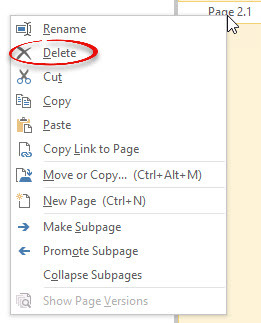 To delete either sections, pages, or subpages, right click on the one you wish to delete and select Delete. Note: If you delete a page that contains subpages, the subpages will not be deleted.